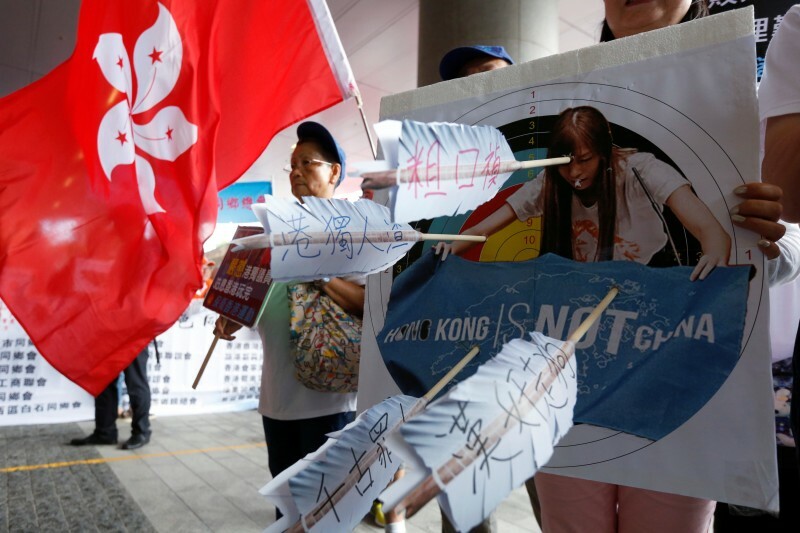 2 Hong Kong Indipendence activists: HONG KONG (Reuters) – Hong Kong’s legislature descended into chaos on Wednesday as two pro-independence lawmakers defied a barring order and barged into the chamber as democrats formed a human chain around them, forcing the session to be adjourned. 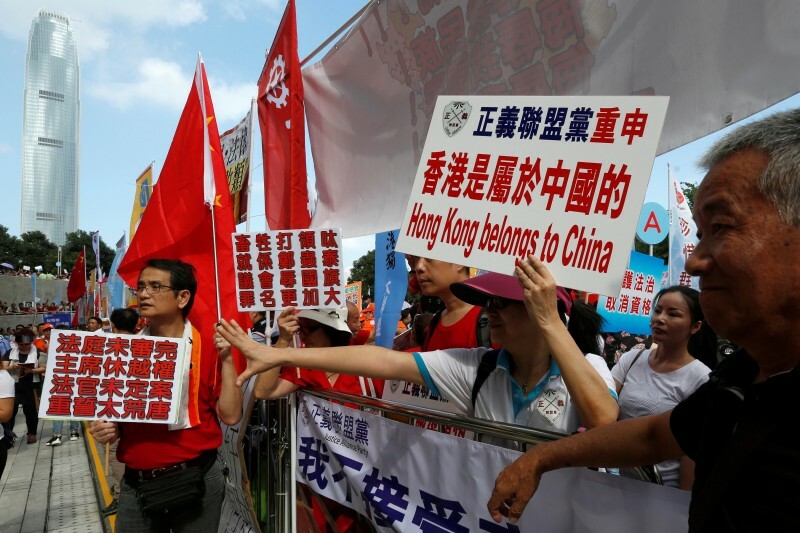 Hong Kong Indipendence activists: HONG KONG (Reuters) – Hong Kong’s legislature descended into chaos on Wednesday as two pro-independence lawmakers defied a barring order and barged into the chamber as democrats formed a human chain around them, forcing the session to be adjourned. The president of the Chinese-ruled city’s Legislative Council on Tuesday delayed the swearing-in of Yau Wai-ching, 25, and Baggio Leung, 30, and temporarily banned them from attending meetings, following weeks of pressure from factions loyal to Beijing. “If we lose this war … our system is done for. We have no room to retreat,” said Leung, tears welling in his eyes. The pair, who represent a new breed of more radical activists moving into the political mainstream, had their swearing-in oaths invalidated this month over language and a banner that was deemed derogatory to China. 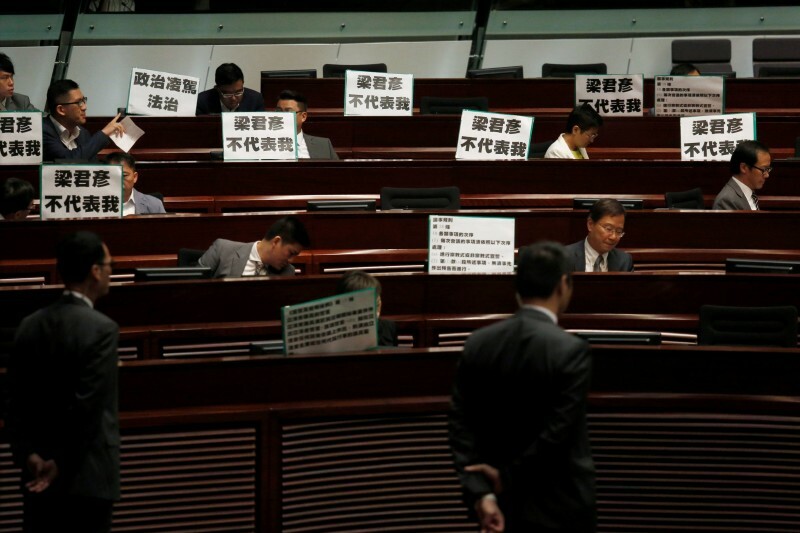 “Democratically elected legislators need to take their oath,” the democrats shouted as they made their way to the meeting, while shielding Yau and Leung. 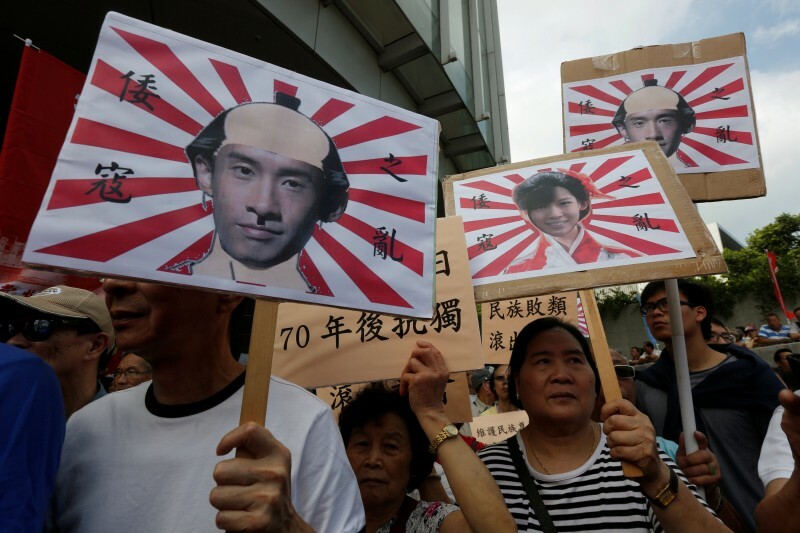 They called on council president Andrew Leung to step down, while Yau accused him of “destroying the dignity” of the council, where chaotic scenes erupted as the session descended into farce. The former British colony of Hong Kong returned to Chinese rule in 1997 under the principle of “one country, two systems”, allowing it wide-ranging freedoms not enjoyed on the mainland. 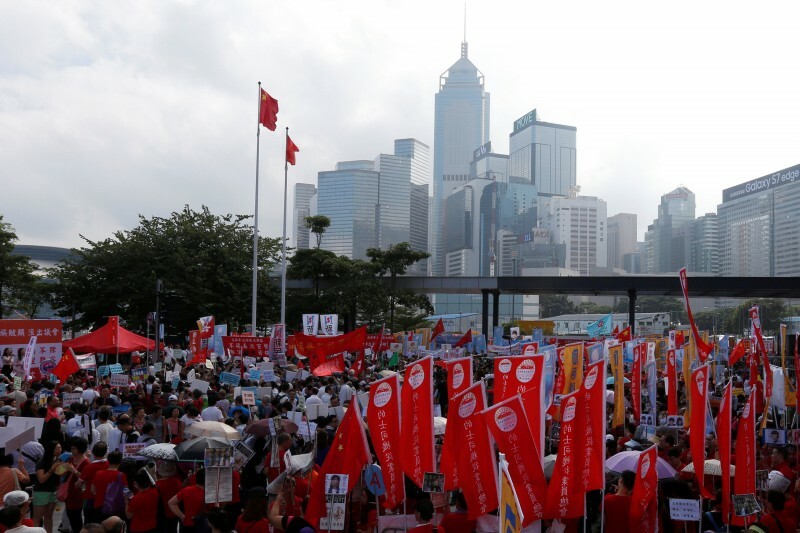 Once a taboo topic, the issue of independence has gained momentum since pro-democracy protests in late 2014, which paralysed parts of the Asian financial centre, failed to wrangle concessions from Communist Party rulers in Beijing. The two lawmakers insisted they had the right to enter the chamber to retake their oath of office. Council rules state that members cannot attend meetings or vote before they take the oath. Andrew Leung said on Tuesday he would halt the pair’s swearing-in ceremony until an unprecedented judicial review had been heard. While the High Court last weekend allowed the judicial review to go ahead, it thwarted a late-night government push for an injunction to halt the swearing-in – a move effectively overturned by Andrew Leung. The government’s writ seen by Reuters seeks to disqualify the two and vacate their seats. Chief Executive Leung Chun-ying’s decision to challenge the legislature via the judiciary demonstrates the steps the government is willing to take to quash advocacy for Hong Kong independence from China.